Felis Creations Blog | Back in Bhutan! I picked a seat on the right-hand side of the flight. It was 3 in the afternoon and I was flying from Guwahati to Bagdogra a short 45 min flight. Looking outside my window was the spectacular snow-capped mountain range of the Himalaya. 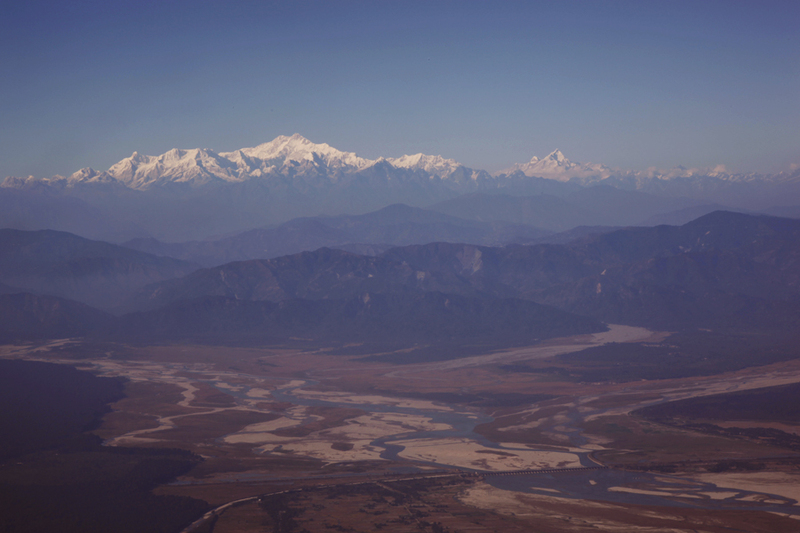 From this aerial vantage point, recipe not only could I see the flat floodplain of Assam, but I could look over ranges and ranges of foothills, all the way into the mountain kingdom of Bhutan where mysterious snow-capped peaks lay untouched by humans for millennia. I wondered what the name of the grand peak may be, and waited for the pilot to announce something ten minutes later, the pilot announced from the cockpit it was time to fasten our seat-belts in preparation for landing. We landed in Bagdogra ten minutes ahead of schedule. That was fine by me, I was eager to get into Bhutan! I was in Bhutan to present my work along with other members in the region who had received grants from The Critical Ecosystem Partnership Fund (www.cepf.net) – a fund that was established to help foster awareness of critical conservation issues and gather further knowledge of flora and fauna in the Eastern Himalayan biodiversity hotspot. I’ve been working here since early 2009 developing a coffee-table book very similar to the Western Ghats book, that was completed a few years prior. It was now that the grant was coming to an end and time to present our findings to the committee, guests and hosts from around the world. I am very glad that Paro, Bhutan was chosen as a venue. I only need the slightest excuse to head to this beautiful country. Soon after the workshops, presentations, dinners, drinks, dances, meetings etc. I joined a group of delegates from www.atree.org and other organisations up to Takstang Monastery Tiger’s Nest. It takes about 2 to 3 hours to get here and is not a terribly difficult hike. It’s a good warm up hike to get you used to the elevation and get your muscles back into shape. I had been here a year before and had photographs of the monks to return to them. Upon reaching the Machi phu Monastery a little further and away from the main Takstang monastery and seeing that my beloved monk friend was not there, I left the pictures under the door to his house. Hope he gets a good surprise on his return. Later we headed to Thimpu after a delicious lunch of momo’s and beer at a local restaurant in Paro. The next day I was to head back to India. I had hardly done any birding or photography other than conference stuff. So it was disappointing to have to head back so early after coming out so far. 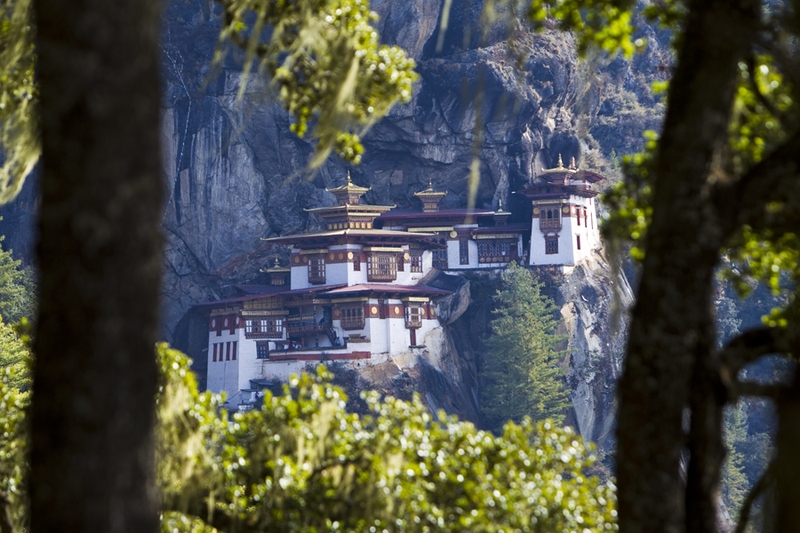 There were still many things for me to cover from the Bhutan region, especially the birds! To my pleasant surprise the next day I found out that it’s not necessary for me to head back, as some meetings had been cancelled. In the last minute thanks hugely to Chopel at WWF, Bhutan, my permits and vehicle (a Toyota Hi-lux) were organized to travel for the next week across the country to the key birding hotspots. It was a Friday, and we headed straight to Punakha to see the White-bellied Heron, a critically endangered bird. So endangered that Rebecca Pradhan at RSPN is planning a project to hand-feed young ones to maturity in a captive facility. On our way there we stopped at DochuLa, just outside Thimpu and spent time with Rebecca and Tshewang. They told us where the birds are most likely going to be the next day and offered other tips and advice as to where to go to see some other specialties. To cut a long story short, as I am now in Guwahati and need to head to Kaziranga, we did manage to see a good fifty plus species of birds. 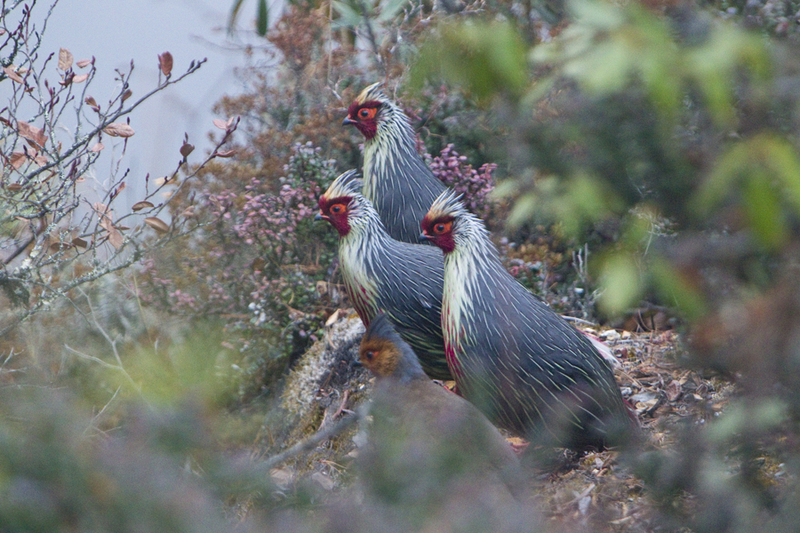 A very humble list for a bird hotspot like Bhutan that harbours nearly 700 species of birds! But the important thing was that I was able to photograph and spend time with some of the key birds, like the Black-necked Crane (Grus nigricollis) in Phobjikha, the White-bellied Heron (Ardea insignis) in Punakha, the blood-pheasants (Ithaginis cruentus) in Trumshingla and a bird I had always wanted to see, the Ibisbill (Ibidorhyncha struthersii). I will probably expand on this blog post a little later and fill in the details of locations and birds. It’s most likely never to happen, but a bit of wishful thinking never hurts. I’d like to thank the various individuals and organizations that helped make this trip happen, especially Chopel, Kinsang, Jigme at http://www.wwfbhutan.org.bt/, and Rebecca Pradhan, Tshewang at http://www.rspnbhutan.org/ and Suman and Samuel Thomas at www.atree.org. 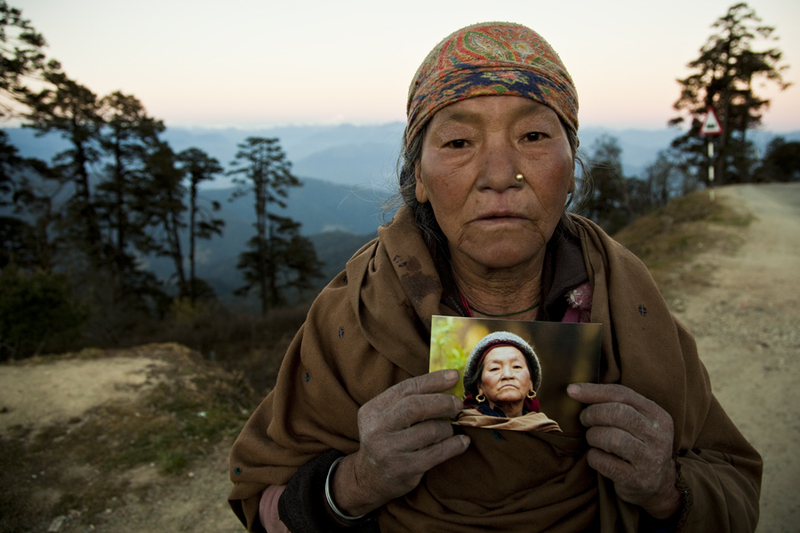 I would also like to thank Pema Dorji, who patiently drove me across many mountain miles with care and precision. He also knew where to find the birds, which helped greatly! Oh, and I almost forgot, we spotted leopard cats twice on the road to Trumshingla – once on the way there, and once on the way back – both times under the cover of darkness! Awesome pics. Just love the last picture in this series, really touching. Wish to meet you soon somewhere in Bangalore. I will definately be back and bugging you again sometime, think it is so awesome you took photos back for various people on the trip, it must have given you great joy to do that for them. Hi Sandesh, good to know that you will be out with another book soon! I have read your book on Sahyadris and I love it.. as usual, I loved your travel journal here, you must be enjoying your work taking you to all these heavenly places !! I love the shot of the blood pheasants! What are those pink flowers? The photo’s almost like a painting. Not sure what those pink flowers are, but will certainly try to find out! So nice to see these photos. Would like to meet you in Bangalore. hope u remember me ? I was with Prakash for Hotel Project at Mysore.